In the 1850s, the founder (John McIntyre) of a California farming valley hires a no-nonsense trail guide (Robert Taylor) to help bring 138 women over from the east, so that his workers will have wives. 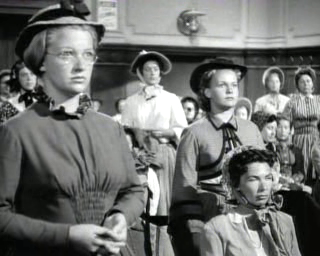 Frank Capra scripted this William Wellman-directed western, which is only loosely based on historical fact yet offers a fascinating perspective on the experiences faced by women during America’s “westward movement”. With just one big-name star (Taylor), the film is essentially an ensemble piece, aiming to depict the collective struggles of females who were bold enough to leave behind their lives in the east for a decidedly dangerous trek across unknown territory. Some — i.e., a young woman (Beverly Dennis) pregnant with an illegitimate child — feel they have no other choice; others — like Hope Emerson’s stalwart widow — simply want a new start for themselves (and/or a man to call their own). Capra’s script is refreshingly blunt in depicting the most immediate danger posed to the women: lecherous trail hands who view them as easy targets for predatory notions. Once this issue is unexpectedly “taken care of”, however, the women then face the daunting task of helping themselves to survive the perilous journey — which is presented in a shockingly realistic (for the time) fashion. Numerous characters — some quite likeable — die throughout the course of the film; as a result, we get an authentic feeling of just how random and senseless death could seem for these travellers. Taylor is appropriately gruff and stalwart in the lead role, but it’s the motley women themselves who linger longest in one’s memory. 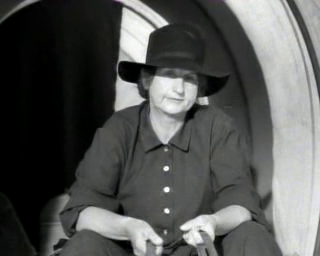 Larger-than-life Emerson (best known for her performance as a prison warden in 1950’s Caged) had perhaps her noblest supporting role here; however, most of her fellow actresses are unknown faces, adding to the film’s sense of authenticity. 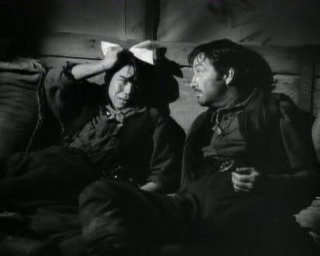 Meanwhile, Japanese character-actor Henry Nakamura gives a refreshingly caricature-free performance as “Ito” the cook; his drunken scene with Taylor (see still below) provides one of the film’s most random yet memorable moments. 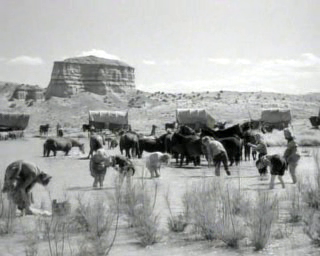 Kudos also belong to Wellman and DP William Mellor, who bring the harsh western landscape to realistic life. (According to TCM’s article, camera filters were used “as sparingly as possible” to give “the film an intentionally stark, sunbaked look”.) 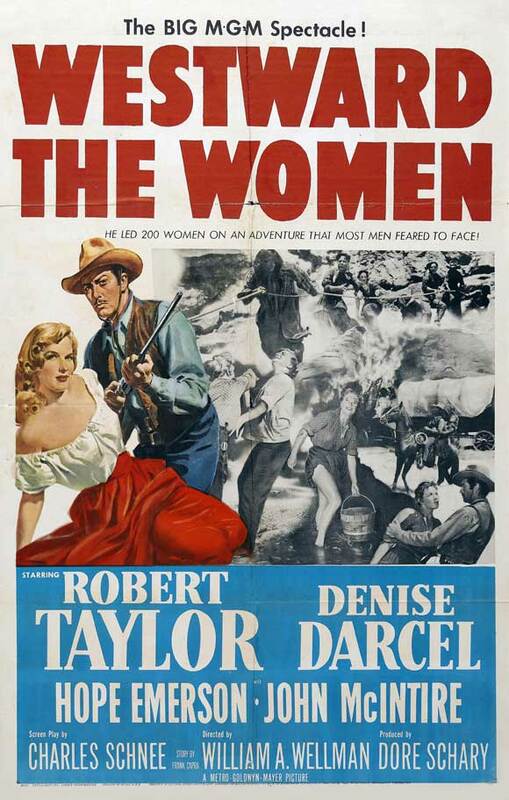 While not all narrative threads work — obligatory romantic tensions between Taylor and a former showgirl (Denise Darcel) are simply yawn-worthy, for instance — the majority of the story is a compelling treat, making this a film ffs will want to return to from time to time. 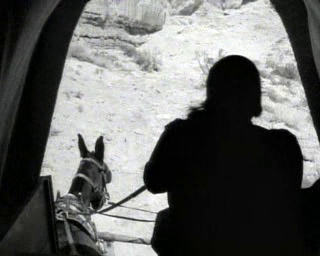 Yes, as a fine mid-century western representing a unique perspective. Listed as a Sleeper in the back of Peary’s book. A once-must, for its place in cinema history – and for its ‘historical’ importance. I had seen this once before, years ago, and it stayed in my memory as a powerful film. Over the years since that viewing, it hasn’t been that easy a film for me to track down for a rewatch. Having now seen it again, what was held in my memory is confirmed. Because the film is episodic, without any real plot, you can’t imagine what’s going to come next – and a lot of it is, indeed, harrowing. Still, it’s a very rewarding film which illuminates what the human spirit can be capable of. I like the script a lot – it’s sturdy and rather believable throughout, without anything that’s needlessly melodramatic. Though I’ve never been much of a Robert Taylor fan, I’m rather impressed with his authoritative, no-nonsense performance. The concluding sequence is especially heartwarming. 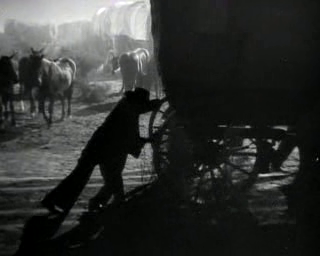 A very satisfying film, and Wellman’s direction of it is solid.